Do you purchase an article from the shop without asking it’s features. What is the first question you ask when you want to buy a new Smartphone?. Isn’t it the price?.You next ask about the features of the Smartphone.. What is its battery life? On which Operating System it runs on and what are the new additional features incorporated in this Smartphone over and above the old model. Don’t you test drive that new car in order to note its feel? .What are the questions you ask when you want to purchase a new flat in an apartment when you see that advertisement in the newspaper? Isn’t it what is the built up area and the carpet area? What are the amnesties such as Gym, Swimming pool and Club houses?.You check the location of the apartment, the safety factors, the accessibility and whether all the basic facilities are available such as hospitals, markets and so on. Don’t you think that you need to check up all the clauses and thoroughly understand the health policies before purchasing them? .If your answer is Yes then this is an article you definitely need to read. You may have heard the famous saying" Always Hope For The Best But Be Prepared For The Worst ". I would like to remind all of you that the team of Financial Planners at IndianMoney.com are always there for you to plan your health needs in a most effective and efficient manner. 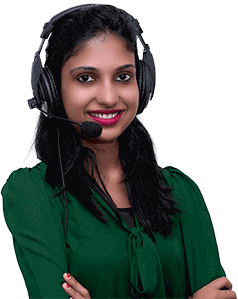 You can explore this unique Free Advisory Service just by giving a missed call on 022 6181 6111. What Is Meant By Hospitalization Cover? You know that room rent, surgical procedures, doctors charges, cost of medicines, operation theatre charges and the battery of tests conducted are all covered under the mediclaim policy. However the hospital will cover room rent charges and ambulance charges only to a certain extent .Certain treatment like corrective retina treatment for eye care using lasers will not be included under the day care treatment category. Always check the room rent clause. Most of the policies have a cap on the maximum amount of charges they would pay towards the room rents during hospitalization. The word " Pre " or before means a disease which is already present or the symptoms were diagnosed or the disease was treated before you took up that policy. The clause in the mediclaim or health policy may state that pre existing diseases are covered after a continuous claim free renewal of four years. Pre existing diseases like Hypertension and Diabetes are covered after two years of continuous insurance and the payment of an additional premium on your policy. You will have to disclose all details of pre existing diseases to the insurer in order to get the necessary medical cover and avoid any hassles in the future. What Is Meant By Waiting Period In A Mediclaim Policy? When you purchase that mediclaim policy you might not get coverage or be eligible for medical treatment immediately .Many health policies have a waiting period of one month. Only after that one month, you the policy holder is covered under the mediclaim. Hence this is called the waiting period .Only injuries arising out of accidents are covered under the policies during the waiting period. Let us consider that your policy has a clause that preexisting diseases such as hypertension and diabetes are covered after only two continuous claim free renewals. Then these two years becomes the waiting period for the pre existing diseases and you can avail medical coverage for these diseases only if you pay an additional premium on the policy. However you can get treatment for diseases which are covered under the policy but not the pre existing diseases you suffer from. What Is Meant By Co-Payment In Your Health Policy? You know that the medical bills of a senior citizen and medical treatment for the senior citizens tends to be on the higher side. Let us consider your health policy has a co payment clause. So what does this mean? .Let us consider the medical coverage of your health policy is 5 Lakhs. You are hospitalized for a medical condition which costs INR 2 Lakhs. Let us consider that there is a co-payment clause of 10%..Then the insurance company will pay only 90% of the amount a sum of INR 1.8 Lakhs and you have to pay the remaining 10% or INR 20000 from your own pocket. What Is Meant By Deductibles In A Mediclaim Policy? Deductibles are the amount of expenses incurred that must be paid out of your or the policy holders own pocket. The insurance company will pay the medical charges only if the amount crosses a particular limit. You have a policy with a medical coverage of INR 15 Lakhs .Then under the deductible clause the insurance company will pay the amount only if a certain threshold is breached say in this case INR 4 Lakhs .This means if you are incurring medical expenses of INR 4 Lakhs you have to pay it from your own pocket. Beyond this amount you can enjoy the claims from the insurance company. The premiums for these policies are cheaper because they settle claims only above a certain threshold. What Is Meant By Maximum Renewable Age In A Mediclaim Policy? In all your health policies the age limit is defined up to which you can renew your policy. However there are certain health policies which have a lifetime renewability clause. Which Is Better Cashless Facility Or Reimbursable Facility? Under cashless facility you have to go to the hospitals approved by the Third Party Administrator. In Reimbursement facility you can choose any hospital, take high quality treatment and then get reimbursed from the TPA after the claim settlement process. In your cashless facility you would avail of expensive treatment sometimes on advice of the hospital itself as you don’t have to spend from your pocket and the Insurance Company is settling the claim. This leads to heavy losses for the Insurance Company and they jack up the premiums when your health policy comes up for renewal. In Reimbursable policies since you pay from your own pocket you fear that your claims might not be reimbursed and you settle for a cheaper treatment. Cashless facility is good for you if you do not have ready cash and need to settle the medical bills immediately .In reimbursement policy you must have cash in your hand and you need to submit the bills in order to enjoy the claims and you will be reimbursed at a later date. There might be a long waiting period before you get that medical reimbursement. Why Is An Individual Policy Better Than The Family Floater Policy? Mr Mohan 32 years of age takes an individual policy for himself, his spouse of 30 years and children aged 4 and 6 respectively .His combined premium for all these policies is INR 15000 for a medical coverage of 4 Lakhs for each individual member. When Mr Mohan was driving his car with his spouse he met with an accident, the surgeries and treatment cost INR 3 Lakhs for himself and INR 2.5 Lakhs for the spouse. Both of them recover their medical costs from their own individual policies. Had Mr Mohan taken a family floater of INR 12000 premium with medical coverage of 4 Lakhs for the entire family he would have to pay a sum of INR 1.5 Lakhs from his own pocket. This is because the combined coverage of the whole family floater is INR 4 Lakhs whereas the cost of treatment was INR 5.5.Lakhs. He might have saved a premium of INR 3000 but incurs a cost of INR 1.5 Lakhs. So which policy was better? In a family floater the renewability depends on the age of the oldest member of the family and his medical history. When the eldest member of the family reaches the age in which renewability of the policy expires the whole family floater is disbanded. However under the individual policy even if the eldest members policy is disbanded the wife and the grown up children can enjoy the medical coverage under their individual mediclaim policies. Why Are Family Floater Policies Better Than Individual Policies? Mr Suresh aged 40 has taken a health policy with a medical coverage of INR 6 Lakhs for himself, spouse of age 38 years and two children under the family floater policy for a premium of INR 30000. Suppose Mr Suresh has an accident whose cost of treatment is INR 4.5 Lakhs. He can claim this amount from the insurance company under the family floater policy. Had Mr Suresh taken a health policy for each of his individual family members with medical coverage of 2 Lakhs each for himself and his spouse and 1 Lakh each for his 2 children the sum total of the premium for all the policies would be INR 35000.Here Mr Suresh can enjoy a medical coverage of 2 Lakhs as it is his individual policy and he cannot enjoy the claims from his other family members policies. He has to pay 2.5 Lakhs from his own pocket. Inspite of paying a higher premium he enjoys lesser benefits. I would like to conclude this article with the saying " Fortune Favors The Prepared Mind ". So always take up health policies not just based on your medical needs but also based on the city in which you reside. Remember the cost of health care in metros is higher than other cities and this needs to be factored in when we take up that health policy.